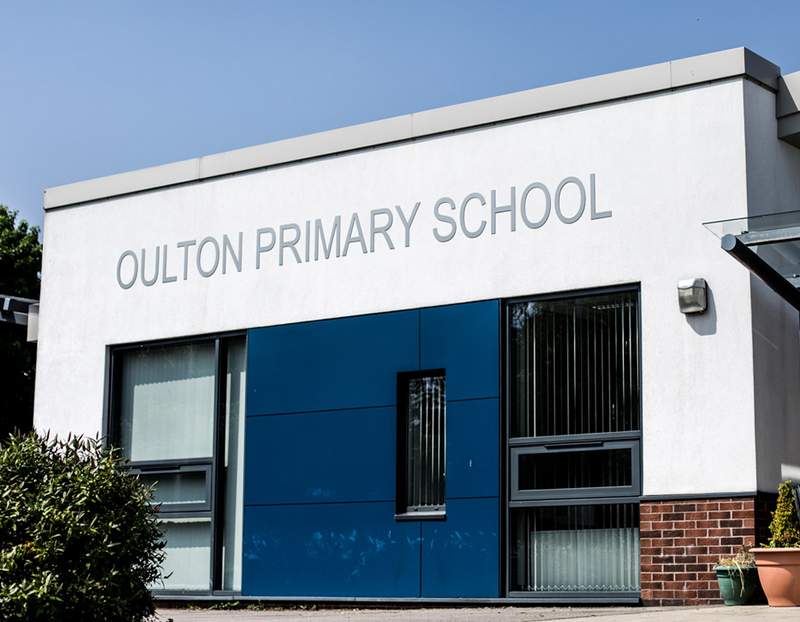 Oulton Primary is a recently refurbished school that boasts an attractive spacious working environment. Re-opened in June 2012, the multi-million pound, architect-designed building is fit for education in the 21st century. It includes a room for Extended Services, sensory room, pastoral base, multiple intervention rooms, spacious library, breakfast club area, purpose-built classrooms and a large sports hall. At playtime the children have access to large playgrounds with adventure playgrounds for both KS1 and KS2. 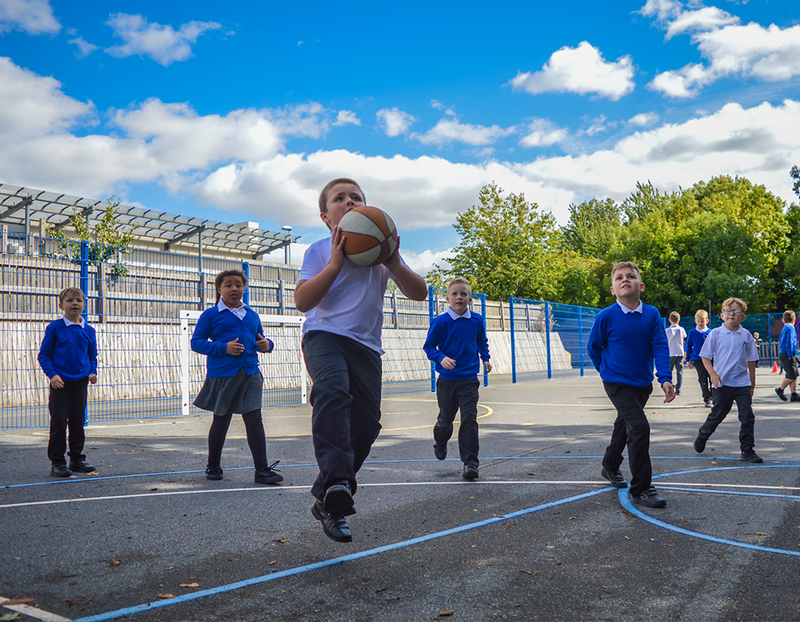 The KS2 playground has a large Multi-Use Games Area (MUGA) which children can use during breaktimes and during PE lessons. There are separate Early Years playgrounds for Reception and Nursery with specialist equipment. We also have a beautiful field with lots of open spaces to play and learn. We are developing an environmental area for science studies (“The Wild Area”) which now includes a bird hide and pond dipping area. logo and a sea creature theme? This is one of the main questions that we are asked by visitors to our school. The school logo was designed by a pupil around 20-years ago. Previously, pupils did not wear school uniform and a competition was held to design a logo for the school’s new uniform. One pupil came up with the idea of a dolphin jumping through the ‘O’ of Oulton, the same design that we still have on our uniform today. This idea was inspired by the local Oulton Beck that local people refer to as the River Dolphin. In fact, there are a few places named after dolphins in the Rothwell area.